Kings Castle is open year-round except for 1 week over Christmas / New Year when we are closed. We are also closed on bank holidays / public holidays. We try to be as flexible as possible and we accept children full-time and part-time. The minimum booking is 2 sessions per week although we recommend that children attend at least 3-4 sessions per week. Please note that it is not usually possible to book mornings only. Funded places are available on a “stretched” basis only. We offer a discount for “full-time” non-funded children who attend 4-5 full days per week and we also offer sibling discounts for non-funded children (please see our fees page). Please note that all sessions are subject to availability and there may be a waiting list for popular sessions. The nursery is closed for approximately 1 week for Christmas / New Year. We do not offer any additional holiday entitlement. If your child is absent due to holiday (or any other reason), please let us know in advance as we have to log and follow-up all absences. We make every effort to stay open and offer a full service to all our children and parents. If however, the directors and management decide that the nursery has to close for reasons beyond our control such as snow, ice, flood, powercut, industrial action, contagious illness, major health & safety issues, etc, no refunds will be due. In such cases, we will make every effort to minimise the closure period and to notify you in advance. It is essential that that parents follow the nursery times as closely as possible especially for the children in Lulworth. This is to ensure that children are not distracted from their activities and enhances the smooth running of the Nursery. 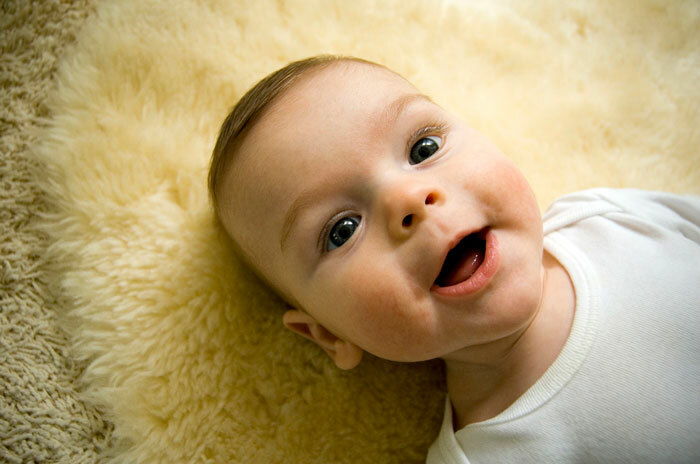 Babies: we offer babies a full week of 1-hour trials free of charge. This consists of approx 1 hour per day Monday to Friday for a full week before your child starts. Parents are encouraged to stay with their child for the first trial session and then leave their child for the remaining trial sessions. Any additional trial sessions will be charged at our standard hourly rate. Toddlers and pre-school: before your child’s official start date, you and your child will be invited to attend 2-3 trial sessions free of charge. These sessions usually last 1-2 hours. You are welcome to stay with your child during the first trial session but we recommend leaving your child for the second session. Any additional trial sessions will be charged at our standard hourly rate. We offer a weekly Twinkle Toes music session for children in Christchurch and weekly Yoga weekly for children in Lulworth. Please contact us for costs and availability (please note that Yoga and Twinkle Toes will finish in April 2019). From April onwards, Kings Castle staff will provide Music and Movement sessions as part of the curriculum for children in Christchurch and Lulworth. These sessions will be provided at least 3 times per week. Parents are asked to provide any milk for children in the baby unit. Healthy snacks and drinks are provided to all children throughout the day. The cost of snacks is included in your fees / consumables charge. Each of the rooms has a Snack Table which the children are encouraged to use when they are ready to have a snack. Lunch-time is a more formal time when the children eat together and learn important table manners! Parents are given a choice of providing a packed lunch or opting for a hot cooked lunch provided. Our cooked lunches are provided by Alex’s Good Food and are cooked fresh on a daily basis. Lunch includes a main course and dessert. Sample menus are available from the school office. Please see the fees page for costs. You will receive monthly newsletters and general updates regarding activities, events, etc via our Famly app so please ensure that we have an up-to-date email address for you. The monthly nursery bill will be sent to you via email or via Famly. Please note that fees are payable by the first of the month. The children are provided with milk or water, and a healthy snack during each session. Children should bring their own healthy packed lunch if they do not require hot lunches. Please provide milk for babies. Each child is requested to bring a full set of clearly named clothing each session. A coat and a pair of wellies are needed during the winter months and a sun hat is needed during the summer months. We also recommend that your child has waterproofs (top and bottoms) as we use our outdoor area come rain or shine. For babies please provide nappies, wipes or cotton wool, nappy cream, bottles (clearly labelled), food and milk with instructions and any comforters. From April to September, please ensure that you apply sun cream to your child before they arrive at nursery. We will apply additional sun cream as required. This will be a standard “sensitive skin, child-friendly” high factor sun cream. If your child has an allergy to any sun creams, please inform us as soon as possible. Please inform us in writing of any allergies or health problems. Records are kept of your child’s progress. Parents/carers may see these on request. If your child is unable to attend any sessions due to illness, holidays or other reasons, please inform the Nursery in advance if possible or before 09.00. We are required to follow-up all absences. We will occasionally have trainee Montessori students and apprentices working with us from the Bournemouth Montessori College and Brockenhurst College, etc.